LANCASTER – A Lancaster man died Saturday night when his motorcycle drifted into oncoming traffic and collided with an SUV in Palmdale, authorities said. The fatal collision happened around 9:50 p.m. Saturday, April 14, on Sierra Highway north of Avenue O, according to a news release from the Palmdale Sheriff’s Station. “The preliminary facts of this investigation indicate a 2004 Harley Davidson driven by a 29-year-old male was traveling northbound on Sierra Highway. The driver drifted into oncoming traffic and collided with a 2017 Honda Pilot driven by a 38-year-old male,” the news release states. The motorcyclist was treated by Los Angeles County Fire Department paramedics and then pronounced dead at the scene. He was identified as 29-year-old Christopher Robin Guthrie of Lancaster, according to coroner’s Assistant Chief Ed Winter. Another motorcyclist — a 49-year-old Rosamond man on a 1994 Harley Davidson — was hit by debris from the crash and sustained trauma to his hand, according to the sheriff’s news release. The SUV driver was not injured in the collision. Sierra Highway at Avenue O was closed until about 5 a.m. Sunday, April 15, to allow for the crash scene investigation. Anyone with information regarding this traffic collision is encouraged to call Palmdale Sheriff Station’s traffic department at 661-272-2400. UPDATE: An online fundraiser has been established to help cover the cost of Guthrie’s funeral. To donate, visit https://www.gofundme.com/chrisguthrie. 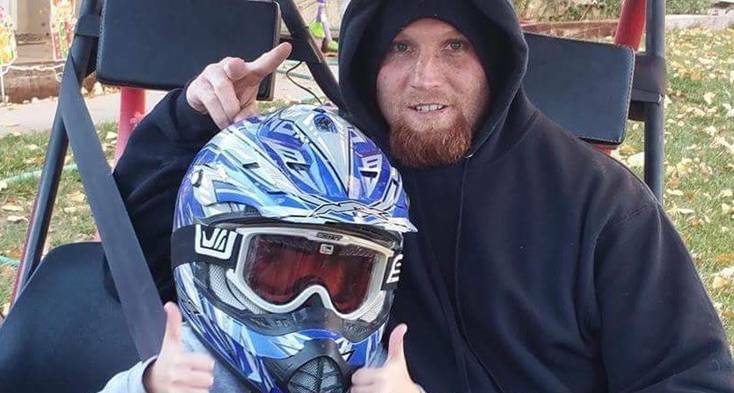 8 comments for "Motorcyclist killed in Palmdale crash [updated]"
To the Guthrie Family soon we will be together with our loved ones in paradise. Lk. 23:43 May you stay strong and endure such a great loss and be comforted by our beloved Heavenly Father Jehovah. Too bad Chris had been drinking right before getting on that bike. Why does there have to be that one troll that has to come and dishonor the deceased? How do you know this for a fact? Were you drinking with him? Do you even know him? Ron Smith, you are a liar! So sad Chris you had to leave us your family at such a young age. I will always remember our trip to Dodger Stadium with your Sister Dylane, brothers, your Dad & my Dad, what a fun time we had. So when your up there looking down on us all, just remember, you’ll always hold a place in our hearts. so sad and sorry to hear about your friend. Chris. Chris, I was lucky enough to get to spend all day fishing with you on Friday and that is exactly how I am going to remember you brotha. I was a lucky man to have known you, we will ride again brotha. I love you broth say hello to ducketts for me until we meet again brotha rest in paradise.